We all have those little things that annoy us personally, you know, those that we completely blow out of the water where others wouldn’t see a problem. Well, at Zen, we all have one thing in common. 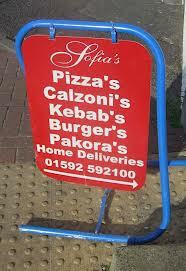 Spelling mistakes. Slightly sick-minded, we do love sharing the occasional typo we come across with each other, and we do this simply because we’re passionate about words and language. And what better way of evidencing our insanity than by sharing them with you. Hopefully, you can read through these safe in the knowledge that you aren’t committing a grammar offence and the world will be a happy place :-) If you are guilty of using any of the below, the explanations should help you too! Wow, this one deserves to be number one of the list. There is a new building being built over there. (Did you spot the deliberation?) There can be used to describe something that isn’t here. It’s also a pronoun used in phrases such as there are or there is. There is can be shortened by removing the ‘i’ in ‘is’ and adding an apostrophe where it was (to show that a letter has been omitted). There’s hoping it makes sense! They’re – this is the same as above because a letter has been removed and apostrophe put in its place. The letter removed is ‘a’ because it’s the shortened version of they are. I personally find that this is spelt wrong more often than not and we appreciate that it’s such an easy mistake to make especially if it’s something that’s not been drummed into your head in the first case – as with me, and I finally learnt my lesson :-) So, your is describing possession. Your work was really appreciated. And, you’re is ‘you are’ shortened, so instead of I hope you are well, we use, I hope you’re well. I could care less means that you do care, and this popular saying is actually used to describe how someone could not care less than they already don’t – if that makes sense? Seen is a past tense word and indicates that the action has been completed. It should only be used with a ‘helper’ word, something that enables it to become an action that’s done, for example, ‘I have seen’. Present tense: I see the birds. Past tense: I saw the birds. Perfect tense: I have seen the birds. This is one that sounds like a nail down a chalk board to us – but it’s a mistake that’s easily avoided. If we want to see how the word ‘could’ve’ is spelt in its long form, we replace the apostrophe with a ‘ha’ to make it ‘could have’. And, this little rule also applies to ‘should’ve’ too! We’re going to be drafting a piece about other grammar crimes in the near future and we’d love your help – tell us of any horror stories you’ve come across in the comments below!